Washing the sand in the traditional system of sand process, water content of the finished product has always been a problem in the masses of users.High water content of sand increased the time of whole selling process,If you encounter rain, sand loss will be bigger and the sedimentation tank will be worse,it is also difficult to meet the standard of the environmental protection department ,at the same time increase the cost of the sand-making chain.Due to the above reasons, the water content of sand directly reduces the production of finished product, indirect causes a loss of user’s profit. LZZG starting from the actual needs of customers, designed the new dehydration sieve plate,named TS Dewatering Screen.We use high wearable polyurethane material as its vibrating screen ,bending a whole a steel plate to be its mainly structure, using high pressure spring as bases and the high strength bolt as mosaic structure, to ensure a high quality sieve. 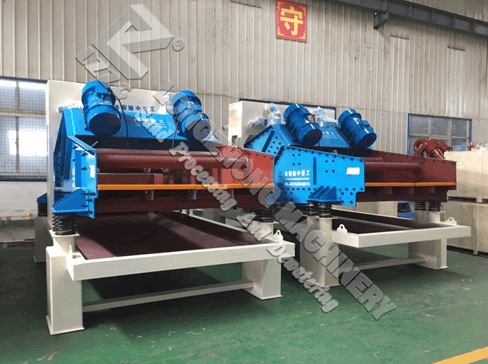 Dewatering screen adopts dual-motor self-synchronization technology ,the high frequency vibration drives the screen move back and forth in line repeatedly, so the sand will be dehydrated and filtered quickly. 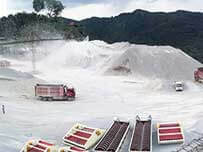 After TS Dewatering Screen ,final sand water content down to 15%，it will be more convenient in packaging and delivery, the finished sand looks better. Of course, in order to meet different customer requirements of the construction site and the final output,our linear gravel can be customized for different needs. 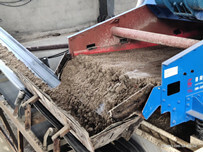 After many years of technology accumulation and production experience,it woks perfectly in crushed sand plant,natural sand washing plant,coal mining screening plant and mineral tailing screen site,etc.More importantly, you can use this sieve together withour other system in the chain of other sand washing products , It will be a excellent cost-performance. 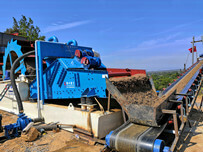 Don’t wait any longer, if you are looking for a screen dehydration equipment, here it is. I hope we can have the chance to serve you and be your supplier in China.We trust that our quality and price will give you an edge over your competitors. 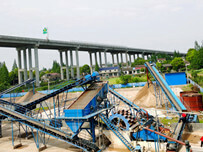 Next：Why the industrial sand dewatering screen is so hot?